From the launch of the euro, to the eating habits of Icelanders; from the thoughts of a Nobel winning novelist to the impressions of an Afghan school girl enjoyingher first day in class, Paul Ames has spend two decades chasing the news. He has reported from Kigali , Kabul and Kinshasa, but the focus has always been Europe. Paul is used to firing questions to leaders at EU summits, talking strategy with NATO generals or working the Brussels diplomatic circuit to dig for scoops. Looking beyond Brussels , he’s sought to show how ordinary and extraordinary Europeans are affected by changes sweeping the continent, Scottish trawlermen struggling with shrinking cod quotas, Latvian soldiers switching from Warsaw Pact to Atlantic Alliance, unemployed steel workers facing life on the dole. An Englishman who has spent his working life on mainland Europe, mostly working for America ’s Associated Press, Paul has an international outlook and remains committed to the universal values of a journalism that is quick and compelling, factual and fair. llevo 48 horas sin dormir, y todavía nos queda un fin de semana lleno de entrevistas, de reencuentros familiares en dos berlines que se están conviertiendo en uno. son las 8 y media de la mañana del día 10 de noviembre de 1989: anoche cayó el muro de berlín y nosotros estábamos allí. hoy, 19 años después, sigo teniendo las mismas ganas de buscar la noticia y de ser el primero en contarla. ahora dirijo una agencia de corresponsales, y calentamos motores para el despegue: queremos que nos conozcan no solo por ser los primeros, sino por nuestra exigencia profesional. esa noche, en los dos berlines, viví los momentos más intensos y más hermosos de toda mi carrera: pero tuve la amargura profesional de que nos fallaran los satélites. esa noche, y la siguiente y muchas más… nuestra señal no encontraba slot para salir de Berlín: hoy pueden caer todos los muros que quieran: con las nuevas tecnologías es difícil que volvamos a fallar a nuestra cita con las próximas noticias. 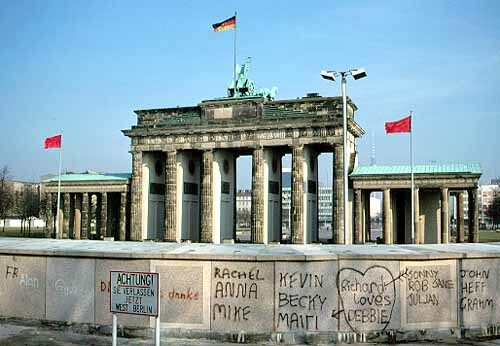 19 years ago we were the first to tell the world the great news: I was there when the berlin wall fell and today we would be already there, live. [a] news is a platform of foreing correspondents and television reporters that offers coverage from brussels and all over europe, offers daily stories live to your television news: a breaking news coverage that is straightforward and clear, close to you: because you get more for less: because you want to add depth to your coverage, because we offer the keys to understanding europe, telling you the things like they are, because we are independent and pioneers, in the fight for [a] news frontier. we are prepared to operate every day of the year to offer live coverage of breaking news and daily events in europe, we can respond in less than 60 minutes in brussels and whitin the day when breaking news happens, anywhere in europe. it’s true: we want to be there first and we want to be the number one for you. if tonight the berlin wall was to fall, [a] news would be already there, live.